Self Funded Health Insurance Plans – What are They and How Can They Help? In the constantly changing world of healthcare, employers are seeing premium costs increase steadily, so many of these employers seek out options to cut insurance expenses. One of these options is to use a self-funded health insurance plan. Rather than purchasing a traditional fully insured healthcare plan from a large carrier, the employer covers employee benefits using their own company funds. While this option does pose its own risks and drawbacks, if implemented correctly, self-funded health plans can greatly benefit an employer. What Kind of Businesses Can Be Helped by a Self Insured Plan? Up until the last decade or so, companies who were helped most by self-funded plans were mostly large corporations who employ 1,000 or more people. This is because these large corporations have the ability to cover both the claim liabilities and the staff required to execute self-funded policies. It can be a full time job to keep track of the daily changes to the self-funded plan of large companies. With the recent drastic changes to healthcare in the U.S., this figure has shrunk down to employers with at least a few hundred employees. Healthcare industry experts have estimated that the majority of companies with at least 300 employees now have some form of self-insured healthcare plan. The degree of self-funding varies greatly from company to company, some are fully self-insured, some partial, etc. Start up businesses or SME’s with only ten employees might be better suited for a traditional fully insured health care plan and avoiding the risks that come with self-funding. However, more and more small businesses are using self-funding, and a stop loss plan can help with these risks and make self-funding a more viable option for startups. The most attractive benefit of a self-funded health care plan is that it can save the employer money. When an employee files a claim with a traditional insurer, there is a middleman in the form the insurance agent and ultimately the administrative costs of the agent’s organization. With self-funding, the middleman is removed, healthcare funds are better appropriated, and company cash flow improves. In addition, self-funded insurance opens up customization options, allowing companies to tailor their coverage precisely to their needs. It also helps employers to better understand exactly where they’re allocating funds dedicated to healthcare and benefits. 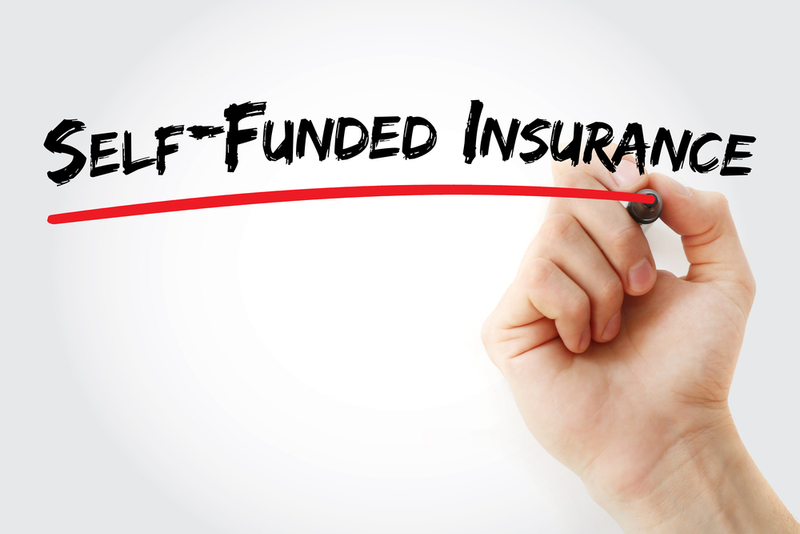 Naturally, there are risks involved with self-funded insurance. There can be abnormally high claims, and healthcare savings might not be immediately apparent. In addition, assuming in-house responsibility for all employee benefit related services can be tricky, especially in a regulatory environment that is constantly changing. A stop loss insurance plan can help mitigate some of these risks. How Can I Get Self-Funded Insurance? Because self-funded plans come from inside your company, they don’t necessarily require any kind of outsourcing to get started. However, it always helps to get your questions answered, especially if you are new to the option of self-funded health plans for your employees. Our experts at Prodigy are ready to answer all of your questions and show you how medical stop loss can help protect your business and add value to your self-funded plan.